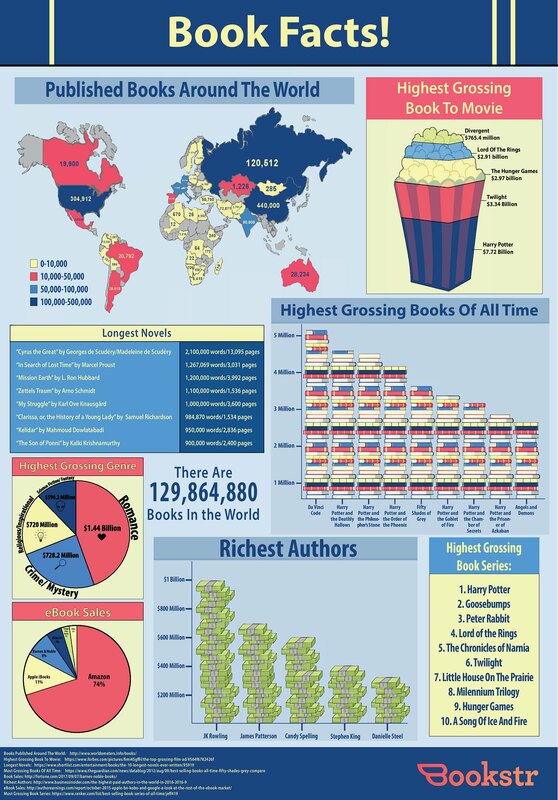 Everything You Want to Know About Books in One Infographic! Hey. I heard you like book facts. Well, you’ve come to the right place, because I’ve got them. Not all of them, but many of them—the ones you want at least. Did you know that there are 129,864,880 published books in the world? Did you know that 90,000 of those books come from India? How about that Romance is the highest grossing genre? Even if you did happen to know those things, you may be surprised to learn that L. Ron Hubbard, founder of Scientology, wrote the third longest book ever published.